In honor of the anniversary of Vanessa May, we recall the famous non-classical compositions in which the violin sounds. This instrument gives songs special refinement and lyricism, dance tracks - emotionality. The violin can be combined even with rap. In addition to the birthday girl, in the playlist: Ed Sheeran, Consoul Trainin, Clean Bandit, The Verve and others. 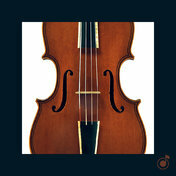 Listen to the collection Such a different violin in high quality, absolutely free. You can listen to the whole collection, or separately song by song. In addition to Such a different violin of the collection, you can find any other one by following the link and get information with the already collected collections and collections of tracks, songs and music.